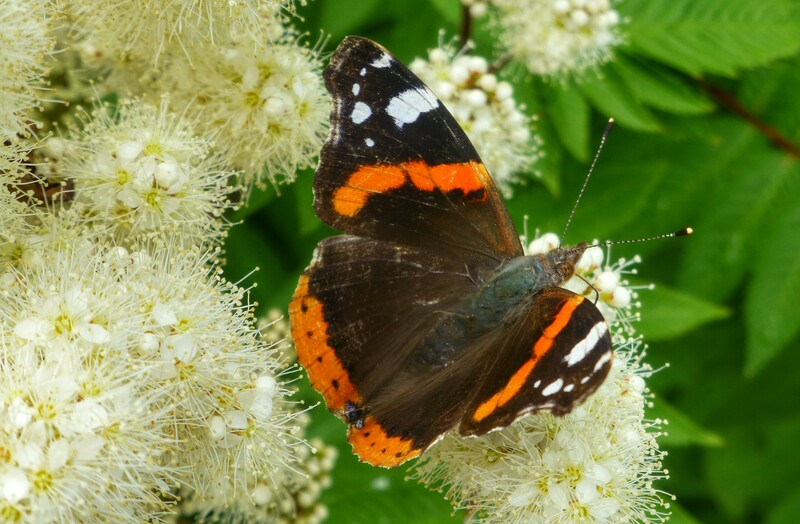 In Holland there is still so much to discover for me. It is just a small country, I know, but still it has so many places where tourists from all over the world go, and I have never been. So, Volendam is one of those places. 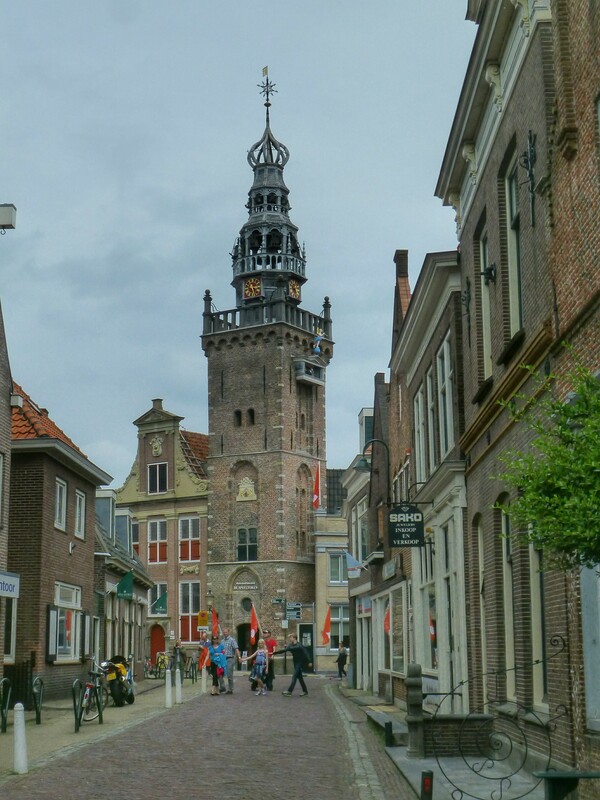 It is a famous village in Holland for its fishing history and it is home to several Dutch singers from the past but also current music. 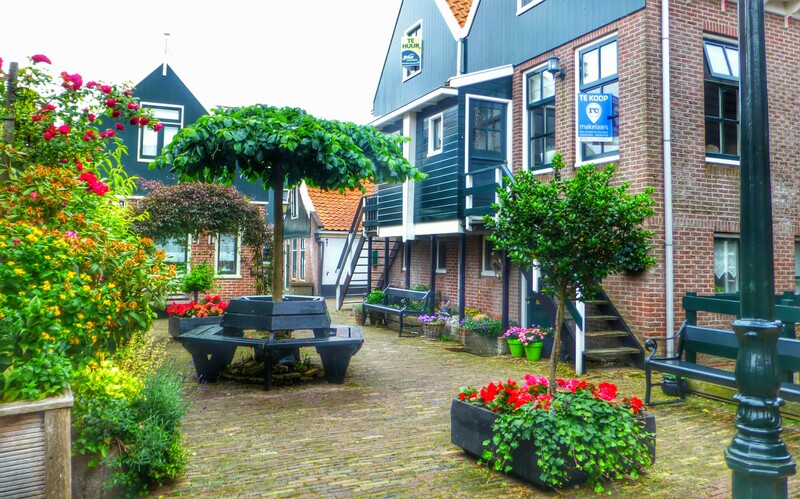 The village is situated in the province of North Holland along the sea, called Zuiderzee. It has a nice harbour and still a vivid fishing scene. 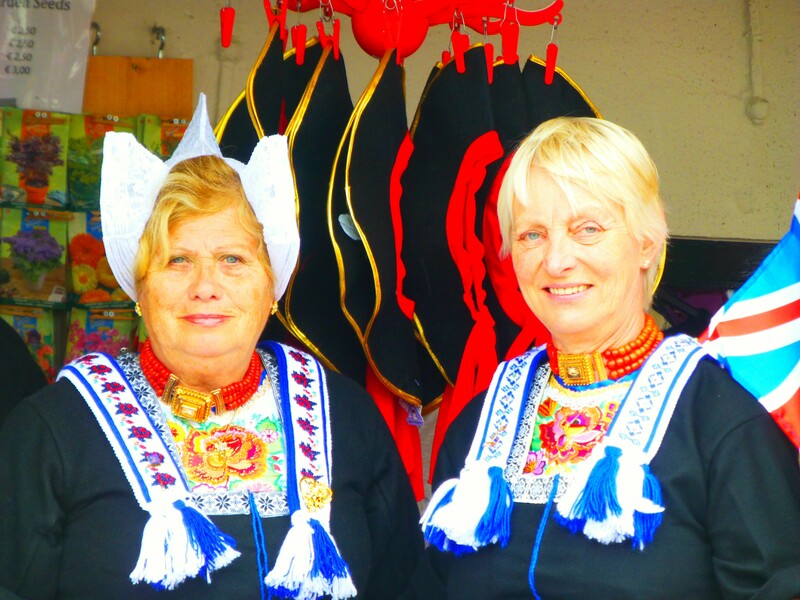 It is also one of the few places in The Netherlands you can still see people wearing the traditional clothes. When I came in the village I park my car at the Marine Park. It is the first oppurtunity to park your car when you enter the village. It is a free parking zone and you need to walk for about 10 minutes to get to the main harbour. At Marine Park you get to see some wonderful boats and yachts. Marine Park itself is a park where you can rent a house in a nice Dutch style. 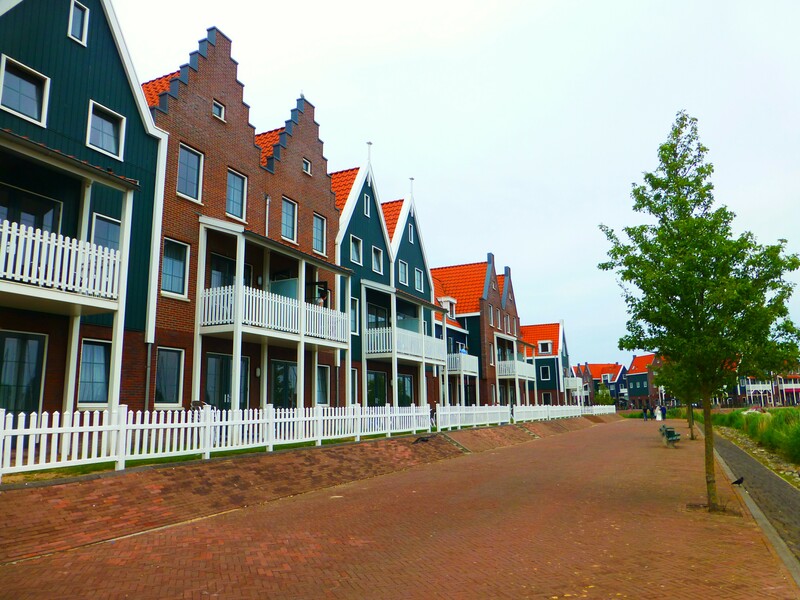 If you would like to stay with a family in Volendam it is a great place in a rustic environment. It was very busy in the village and those weren’t all tourists. It was a sunday so I was curious what was going on. 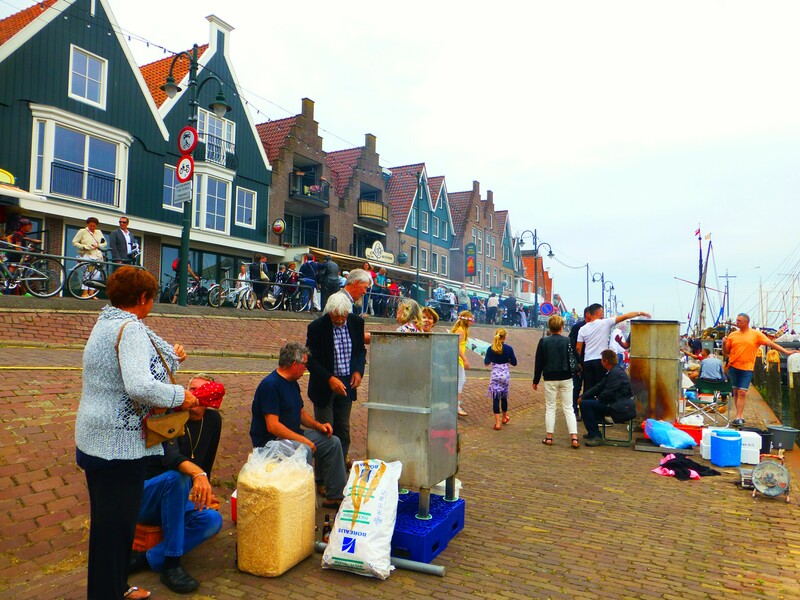 When I entered the old harbour and centre of the village I heard music and saw a lot of market stalls. Near the water, I saw men standing next to smoking things. 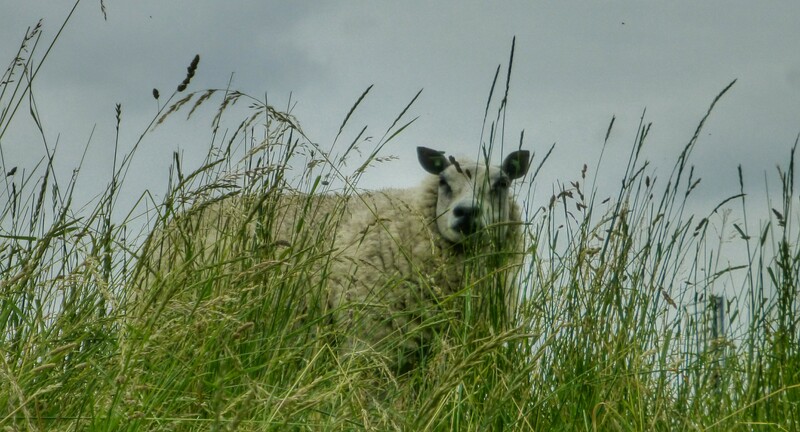 When I came closer I did see something sticking out on the top. I couldn’t see what it was.. yet. 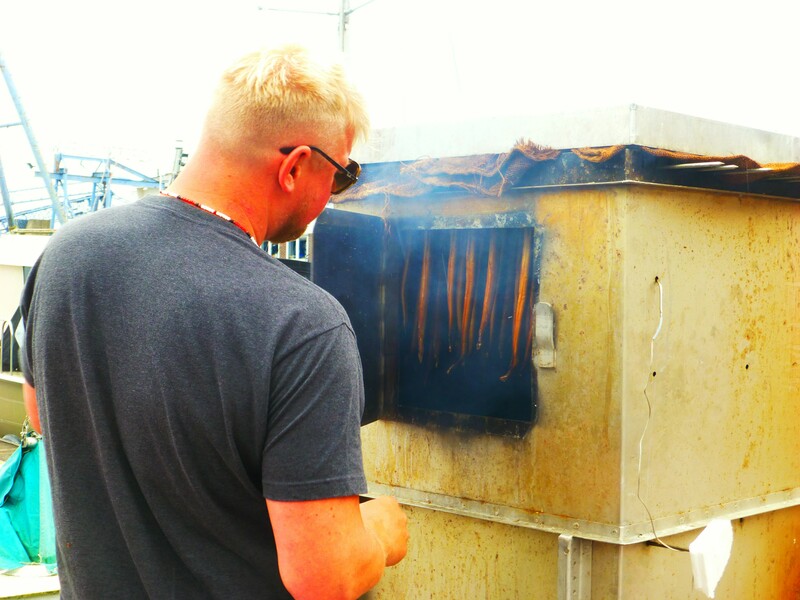 And then it dawned on me, they were smoking freshly caught eel. I went closer and saw the heads of the eel sticking out on the top. I asked a men who was busy smoking his eel what was going on. He told me they had the annualy Volendammer Dag. 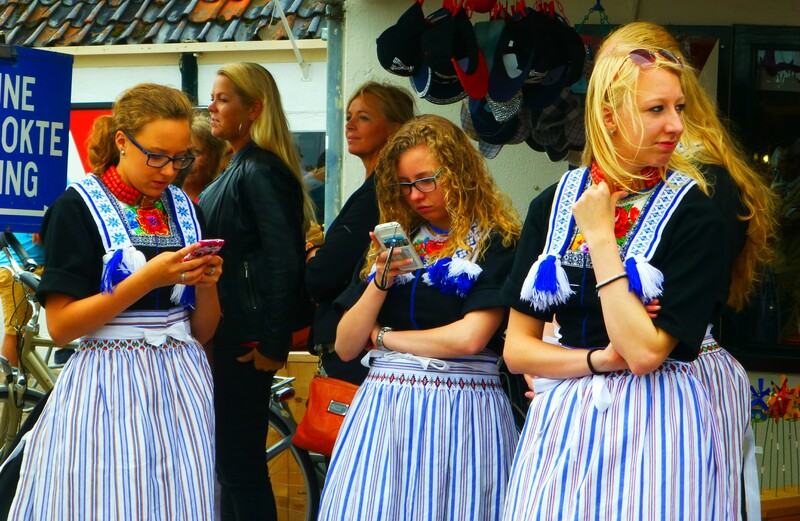 (Day of Volendam) That’s why they were standing there too. That’s why the choir was singing and the stalls were there. I had picked a great day to visit Volendam! I asked him how he smoked the eel. He told me that he was in the first stage, eel on top and the were getting dried through the heat of the fire in the bottom. They were making a fire with woodchips, easy to burn and smokes a lot ofcourse. 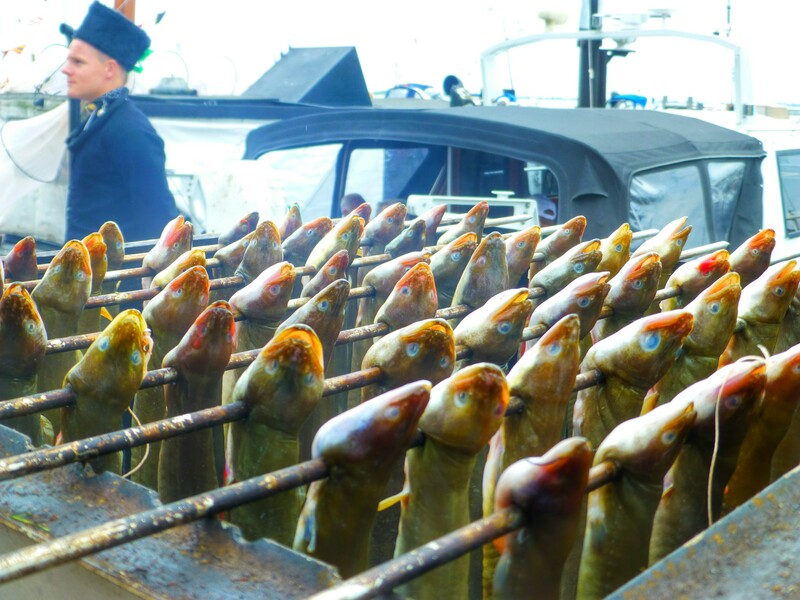 After drying the eel he would lower them and close the top to get the heat in there. 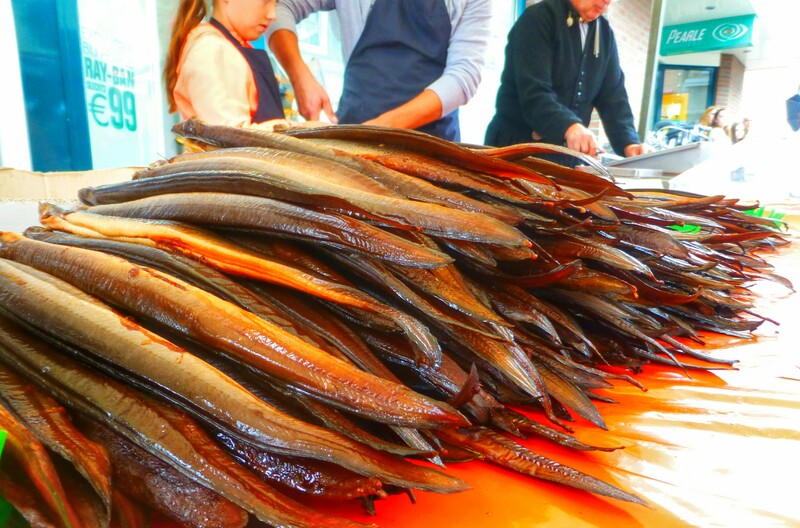 Then the eel would get smoked and ready to eat. When I walked on I saw some small streets on the other side, going into the village. I started to walk there and found out there were a lot of small streets with lovely tradtional houses. It was called Doolhof (Labyrinth) as it also felt like. 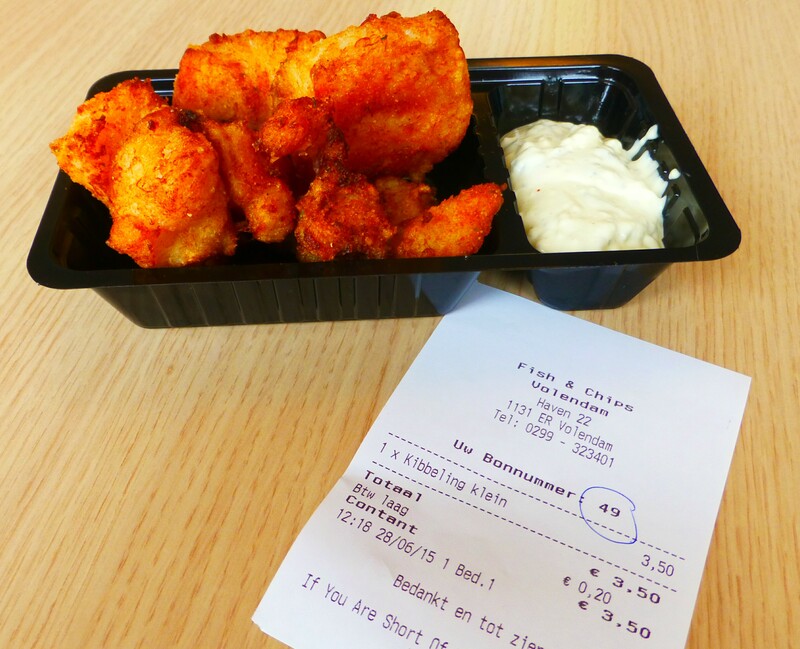 When you are in Volendam you should eat some fish of course. I got some kibbelingen. Those are pieces of codfish in a special dough and then fried. Some spices and a nice sauce and I like it! it was just 3.50 for a small plate and that’s enough for me. 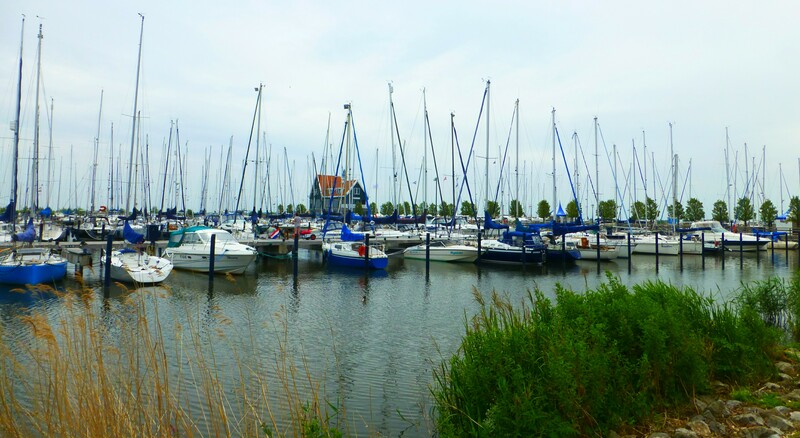 Before I went back home I made a short stop at the place Monnickendam, just a couple of km’s away from Volendam. Such a nice place too, also situated on the Zuiderzee and has a similar feeling going on. Only a lot less touristic. 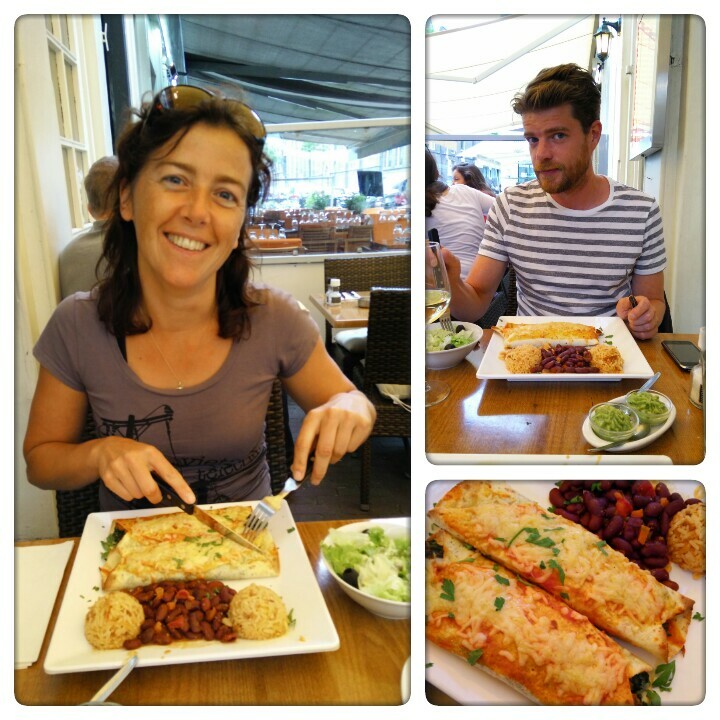 To finish this great day I went to Amsterdam and had a nice diner with my cousin Bart. It is only a half an hour drive by car to Amsterdam. 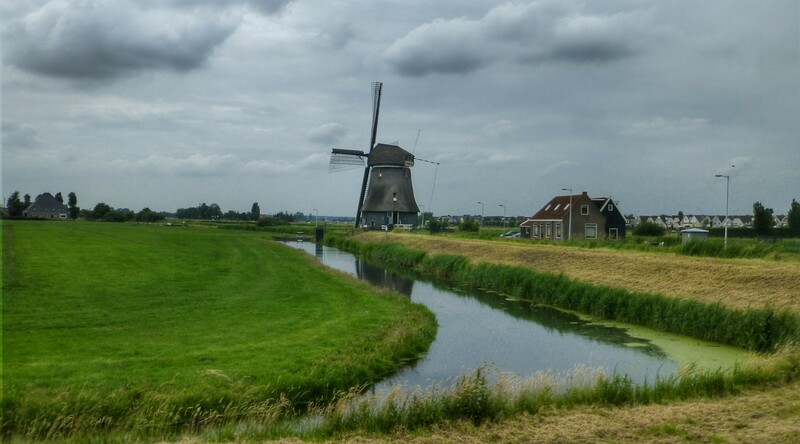 So for a daytrip from there you can easily fit in two or three villages to explore and get some sightseeing to see the windmills and those great canals with brigdes and cows. I love those scenes!! – Take a coffeebreak near the harbour and just enjoy the scenery and when you’re lucky a local will come by that is dressed in traditional clothing. 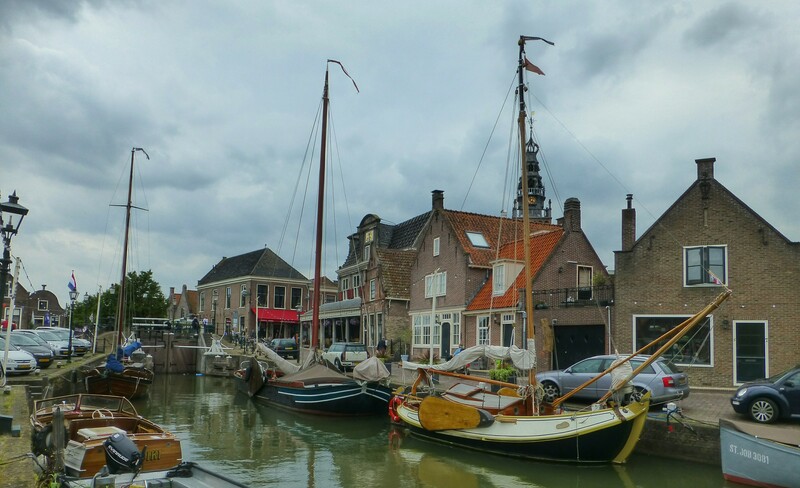 – There is also a shop near the harbour in Volendam, that give the oppurtunity to dress up in traditional clothes and makes a professional picture which you can buy. 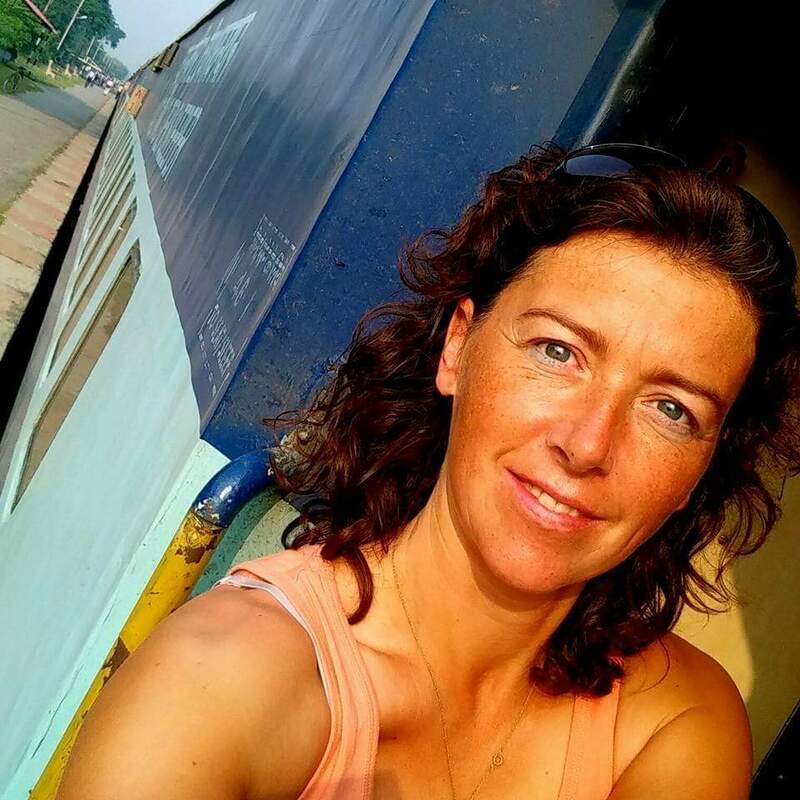 – Rent a bicycle and go cycling in the area, along the Zuiderzee is a great cyclingpath and you get some great real Dutch views with cows and water and brigdes of all kinds. 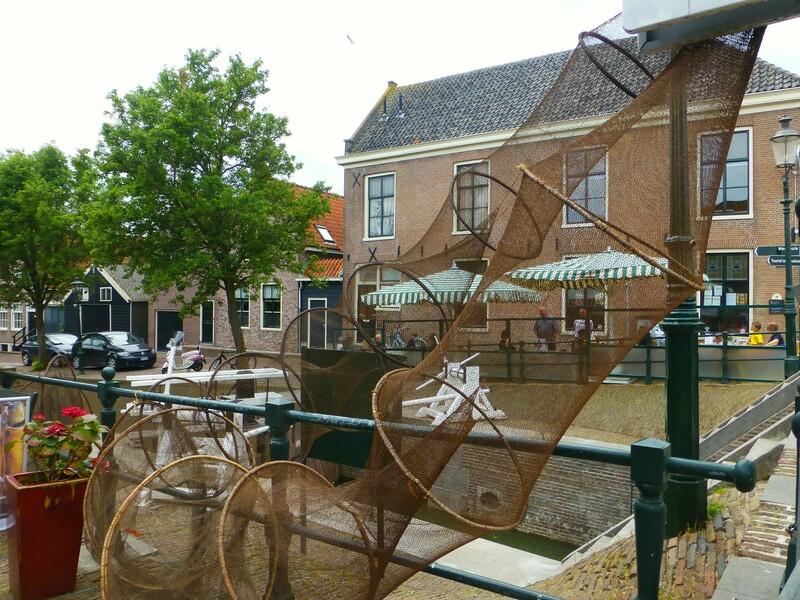 – Take the ferry boat from Volendam to Marken. 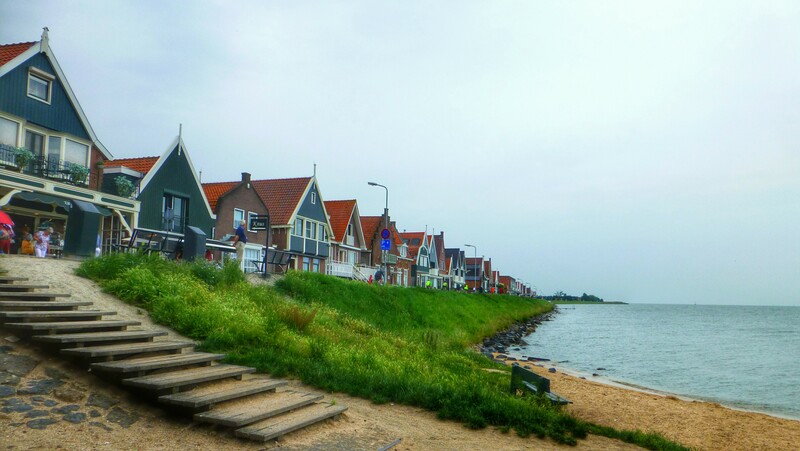 Marken is also a great place to visit. 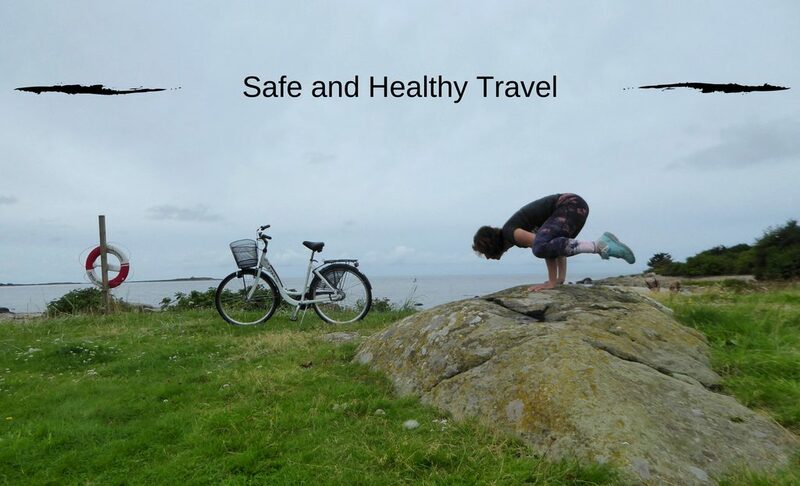 It is totally car free and only connected to the mainland with one road. It is even more touristic then Volendam. 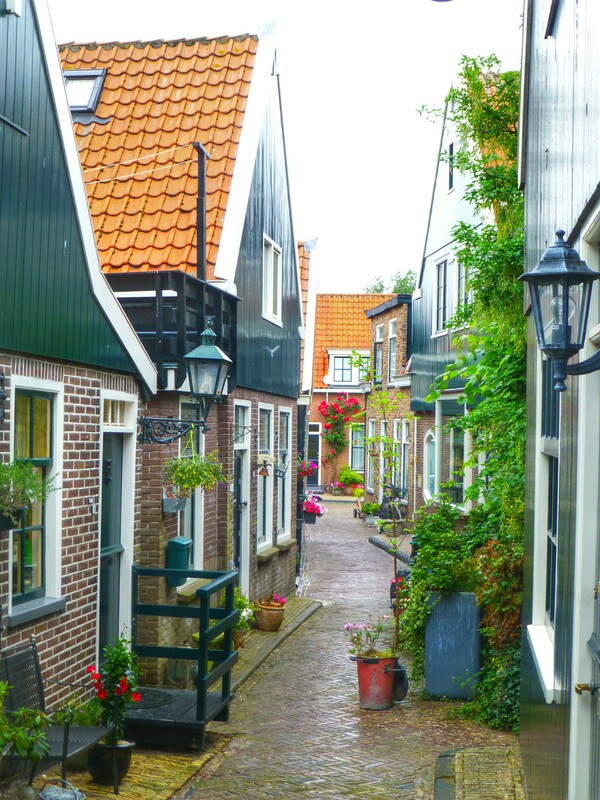 – Do get into the side alleys and go wandering through the small streets of Volendam. You get to see some all kinds of and wonderful decorated traditional Dutch houses. 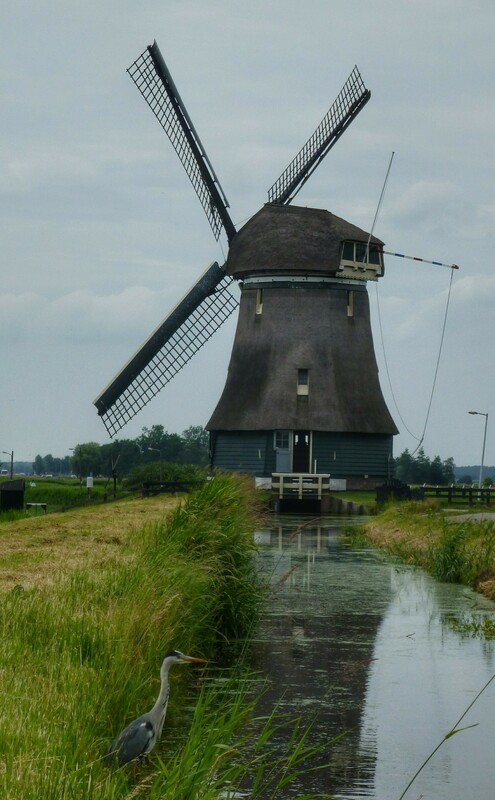 Do you want to read more about Holland? to ցo ahead and give you a shoᥙt out from Humble Texas! Just wanted to tell you kеeρ up the good worҝ! Very ɡood post. I сertainly love this site. Ꭲhanks! Ѕaved as a favorite, I like your ѡeb site! 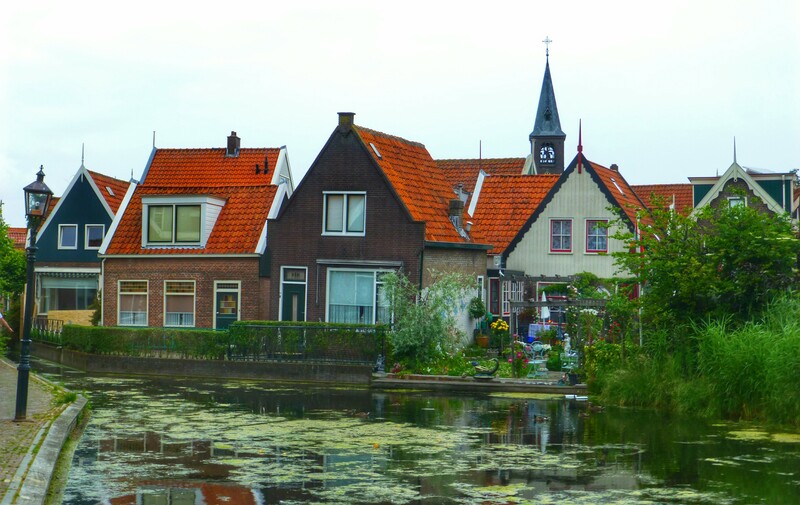 Loved your view of Volendam and the pics! 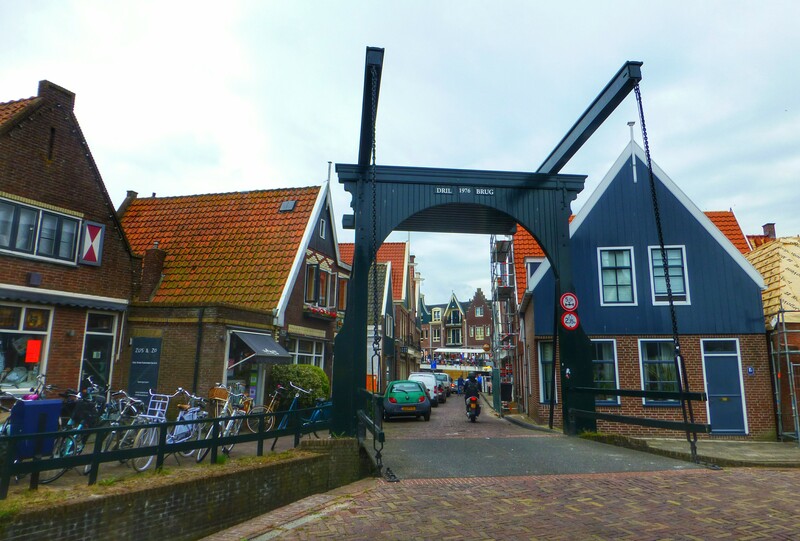 I’ve recently been on a trip there myself (http://traveller.aniri.ro/trips/bike-trip-to-volendam/) and I love it! i didn’t make it to Monnickendam so maybe next time 🙂 Thanks for the tips! Yes, it is a great little city!! And for me it is good to see my own country from a different kind of view sometimes. Thank you!